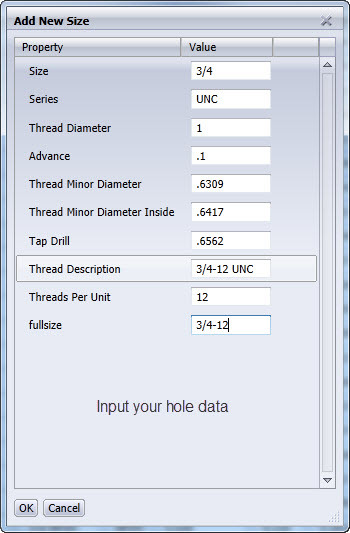 SolidWorks Hole Wizard is pretty complete when it comes to industry standards for hole sizes, but what happens when you want a hole size that isn’t in the list? 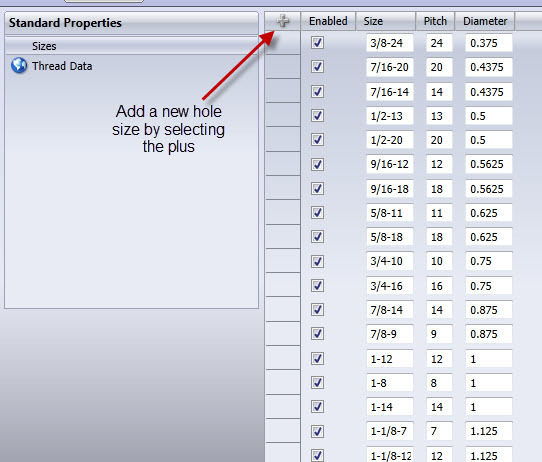 Not a lot of people are familiar with SolidWorks ability to add custom hole sizes to the Hole Wizard database. So let’s see how that is done…. You’re gonna start by opening Toolbox Settings by going either to Start, All Programs, SolidWorks <version>, SolidWorks Tools, Toolbox Settings or within SolidWorks under the Toolbox menu, selecting Configure Toolbox. list of all the different sizes associated with that hole. using the same process as before. The only catch here is that the “fullsize” field must match what was entered in “Size” field in the previous step. 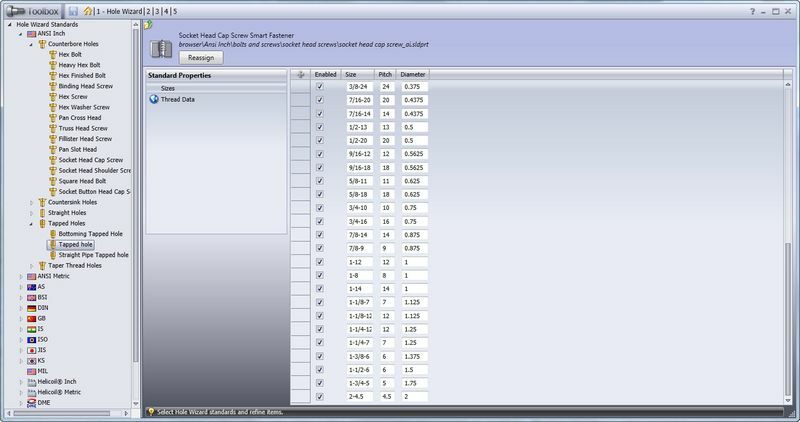 Once you’ve entered this data, accept the new size and save your toolbox changes before exiting the toolbox configurator. 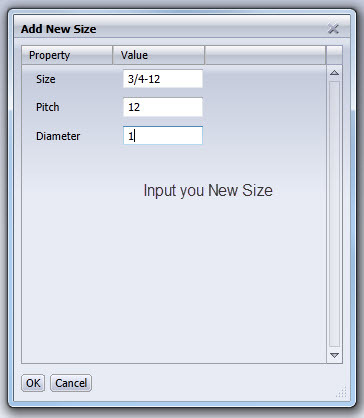 Now go add a new hole wizard hole and you’ll see your new size shown in the dropdown. …And you have now successfully added a custom hole size to Hole Wizard! Chris Olson is Technical Services Engineer at Graphics Systems, a SolidWorks Value Added Reseller with locations across Wisconsin and Illinois. He is a regular contributor to the Graphics Systems’ blog: SolidNotes.com, your source for SolidWorks, Simulation, Data Management, & Product Communication Tips & Tricks. Want to try out SolidWorks? You can request a free SolidWorks trial on our website. Want to see how SolidWorks can help you win new business and get to market faster? Request a SolidWorks demo today.